To create a great engine, you have to build off of what works. And for Indmar, that’s the Ford® Raptor Engine—a 6.2L 16-Valve V8 beast. Indmar deconstructed and reformatted this classic engine for masterful towing in the water, while still giving you the power you’d feel behind an F-150 SVT Raptor on land. Combined with Indmar's purposeful innovations for more torque, faster acceleration and better fuel efficiency this engine sets the bar and still remains the industry standard. 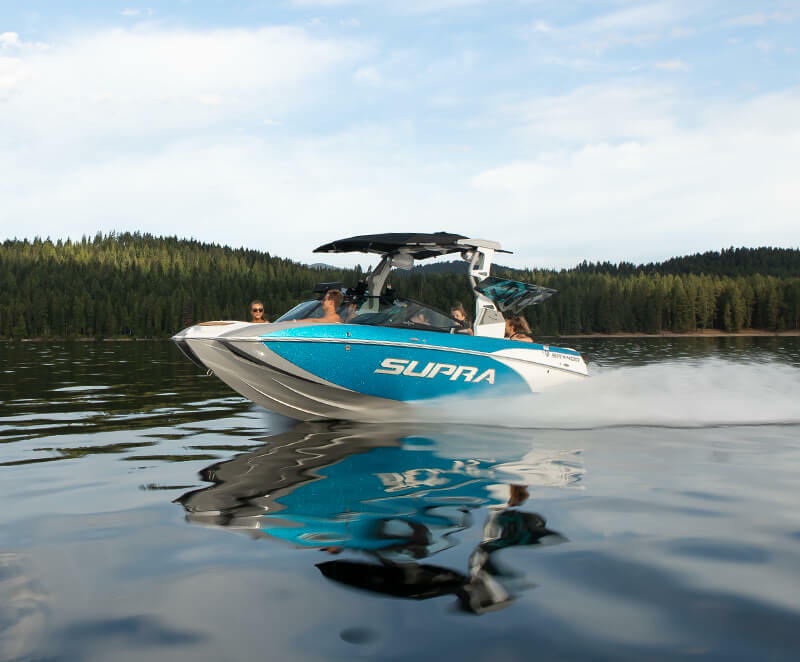 Yesterday’s performance mantra was focused on horsepower—a necessary component for top end speed, but not the right metric for loaded boats in big wake applications. While horsepower is still important today, Supra’s power philosophy is centered around torque and water-specific engineering. With Raptor by Indmar’s 6.2L displacement, dual spark plug cylinders and a next-generation silent exhaust system, we’re not just meeting water sports enthusiasts’ expectations. We’re setting them. 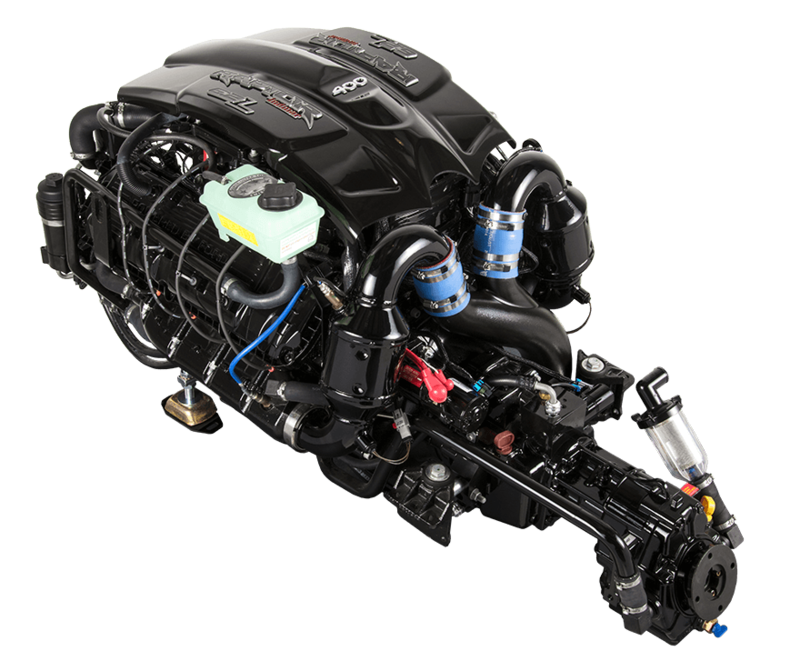 Off-the-line boat planing and lightning fast rider pulls are now a reality thanks to Raptor by Indmar’s low-end RPM power technology—aka—Torque Centric Performance (TCP). TCP provides best-in-class torque and horsepower where you need it most: between 2,500 and 3,500 RPMs. 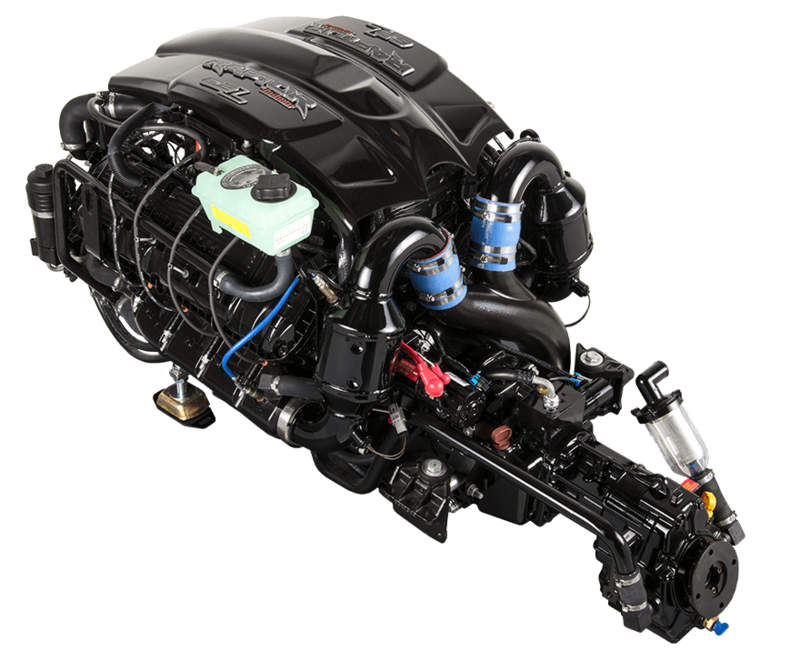 Even with full ballast and a maxed out crew onboard, Raptor delivers immediate throttle and plane for unparalleled performance in wake sport applications. The Raptor 6.2L engines run inherently more efficiently, giving you more low-end power with lower fuel consumption. That conveniently translates to more time on the water and less time at the pump. The Raptor is the same state-of-the-art engine that powers the F-150 SVT Raptor and F-Series Super Duty Trucks that boast best-in-class gas horsepower, torque and max towing ratings. The 6.2L Raptor Series by Indmar is the result of purpose driven engineering designed to provide more torque where you need it allowing faster acceleration, less time to plane, reduced wear-and-tear and better fuel economy. 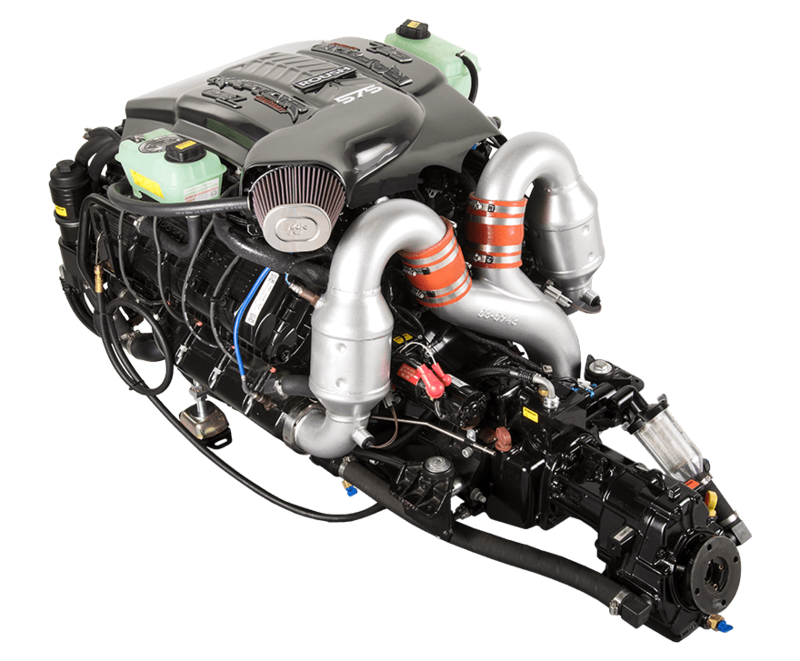 For most applications, the standard Raptor by Indmar 400 offers plenty of power, but if you like a little extra torque to get on plane or just prefer to get there faster opt for an additional 50 horsepower and 46 ft-lbs of torque with the Raptor by Indmar 6.2L 450 upgrade. There is no substitute for power, and in our industry power equals torque. 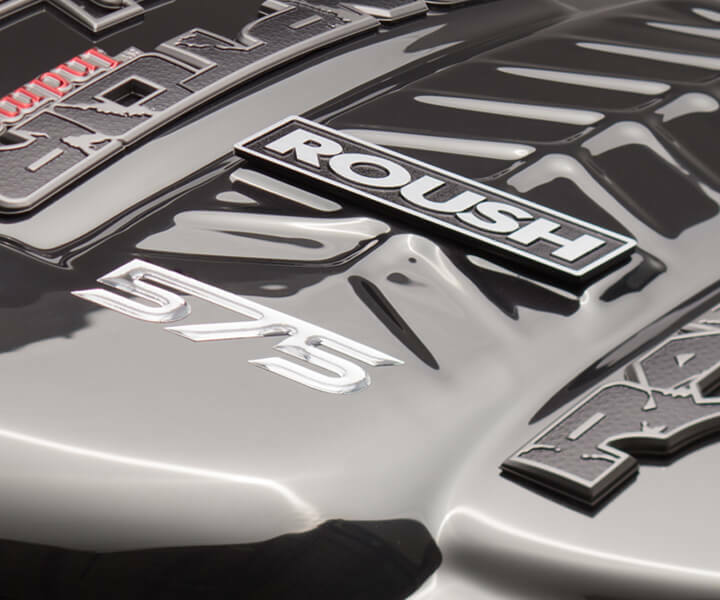 That’s why Supra® offers the optional ROUSHcharged™ by Indmar 575 6.2L Engine across the line. 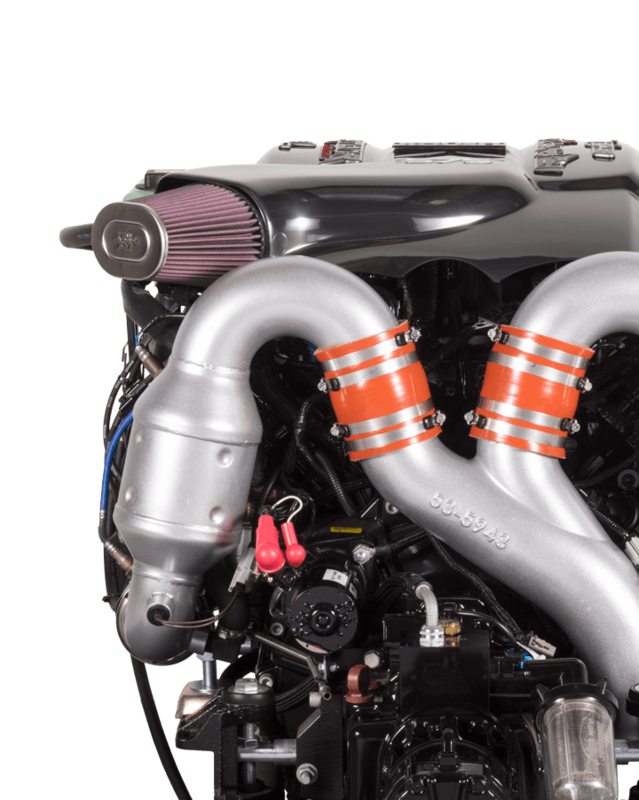 The ROUSHcharged by Indmar package takes the industry leading Raptor by Indmar engine package and pairs it with the innovation of Roush Performance to crank out 580 hard working ft-lbs of torque.